Do you think that your pool needs some upgrade? Well, then this is the right time to start the planning regarding the same. There are some amazing tips to select the pool remodeling company that offers excellent swimming pool remodeling service. It doesn’t matter whether, you are planning to install some equipment for energy efficient or want to give a complete makeover, these tips will be very useful for you. Quality of the Customer Service: Always ensure that the company you are hiring for remodeling is trustable and the communication between you and the company is diligent as well as prompt. Feel free to clear any doubts so as to clarify everything regarding the process of pool renovation. Portfolio Work: Try to know the experience of the company in the field. Also, ask them to show the pictures of their previous projects which they have completed, recently. This is one of the excellent ways to know about the style and the capabilities of the company so that you are able to ascertain what you really need. License & Credentials: Check whether the company has been accredited by the member of the Association of Pool and Spa Professionals or by Master Pools Guild. Check the registrar of the company, along with the Registrar of Contractors. Most of the contractors get new licenses to clean their previous poor records. So, don’t forget to notice the number of years that they have been in this business. Specialization of the company: Always ensure that your vision about the swimming pool remodeling service matches the strength of the company and also check whether, they are making use of eco-friendly technologies so as to retain sustainability or not. Also, check that the company is well known for remodeling rather than constructing new swimming pools because the pool remodelers will know more about working with the existing landscape of the pool. Know about their sub-contractors: The pool remodeling companies often hire different sub-contractors to complete the projects within the timeline. If the company you are hiring have more sub-contractors then there may be a great chance of getting an error and a long renovation time. Whether you are having an indoor, outdoor, public or private swimming pool, every pool needs proper maintenance to make it fit for the swimmers. 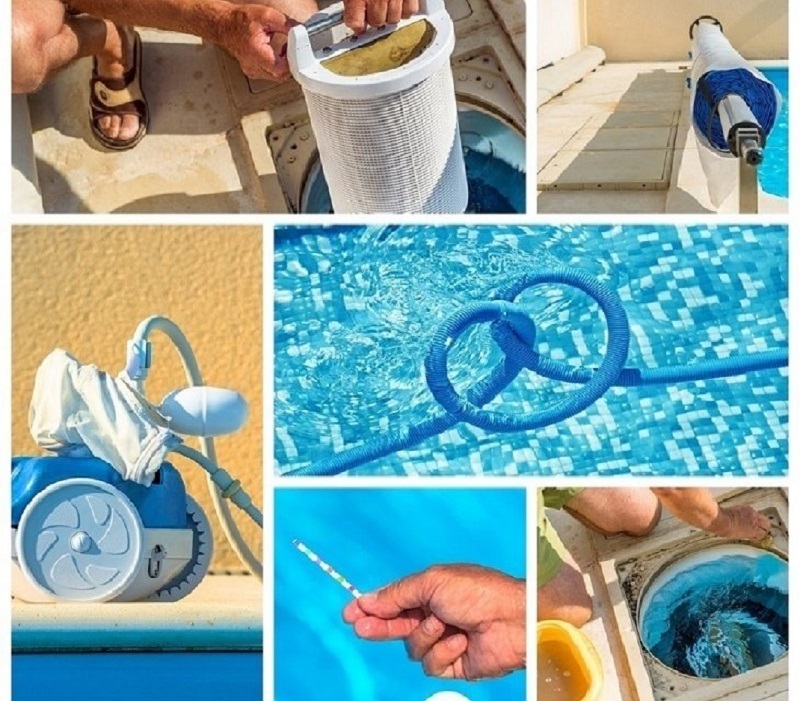 Maintaining pool may look easy but it is not true as you may not have the required equipment as well as chemicals, required to clean the pool. Time-saving: Maintaining your swimming pool may be a little daunting task as it needs proper planning and needs more time to complete. But if you hire the professionals or experts, they will take care of them and save your time which you would have spent in cleaning the pool. You can spend that time in other activities. Perfect use of chemicals: Hiring professionals will also help you to save yourself from the efforts of searching cleaning chemicals. for cleaning. Regular inspection: If you hire professionals for pool maintaining, then they will provide you some additional services as well, like a routine examination. They will also inspect machinery, walls and some other pool features and will make sure to fix the damages and cracks before they worsen. Money saving: If your pool has been maintained in a good manner, then it will have a few problems. Having well-treated water, good machinery and clean walls will help you avoid damages in your pool. Furthermore, this will also save your money.